Facial rejuvenation lasers have been also developed for the following skin changes from photoaging. First, Nonselective Surgical Laser Technology is applied to CO2 laser. The mechanism of action of CO2 laser is nonselective, photothermal effect. It is capable of incision, excision, vaporization, debulking, coagulation, hemostasis and athermal photoactivation for treatment. Because of its nonspecific activity on the epidermis, it needs a technology to minimize thermal injury to the surrounding tissues of each lesion. This may need time and experience, and an understanding that the skill level may determine the therapeutic outcome or occurrence of side effects. The development of Skin Rejuvenation Technology was made by a compromise between patients’ needs to minimize the downtime, even at the cost of slightly less effect, and doctors’ needs to have a technology with an efficacy as great as possible and few side effects. As a result, currently available lasers, including Non-Ablative Fractional Laser, tend to have less effect by a single procedure and require multiple procedures. In a recent clinical and histological study comparing Ablative Fractional Laser and Non-Ablative Fractional Laser, Non-Ablative Fractional Laser produced histologically a Microscope Treatment Zone (MTZ) and ablation with Ablative Fractional Laser also produced a microscope ablative zone (MAZ). The two were clinically not different. After all, skip area facilitates rapid wound healing, thereby reducing erythema from continuous scar or pigmentation. Now it is recommended to limit treatments to within 15% of the face in white people. 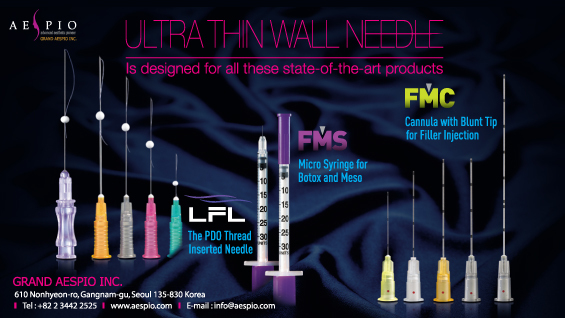 Among NAR technologies, ablative FXL is the most advance anti-aging therapy for patients not responding well to NAFXL. Ablative FXL can induce more favorable recovery process, while minimizing damages to the surrounding tissues, after the treatment. However, dermo-epidermal junction damage may aggravate the degree of early inflammatory response and burning sensation. It also need repeated treatments to yield a sufficient effect. A recent study comparing 4 types of AFXL for their effect on developed photo-aging skin reported efficacy for wrinkle and skin texture but not for pores, recurrence of lentiginosis, and no difference among the devices. Considering such a little effect on skin tightening compared to a full-face ablation technology, NAR technology is now applied mostly to scar treatments, including acne scar. No downtime and low risk, as well as partial collagen remodeling effect, made it a suitable therapy for scar treatment. The third is the Selective Photothermolysis (SPTL, SP) for melanin pigment and OxyHgb. SP is considered the most important and fundamental concept for every medial laser therapy. Pulsed Dye Laser (PDL) is the most advanced technology for the treatment of vascular lesions. Recent studies have reported better outcome after adjusting the pulse duration, number of pass and other parameters. Because blood vessels of different depth and size have corresponding difference in energy level for coagulation, however, existing 585 and 595nm were not sufficient for treatment. A method to overcome this limitation was studied after 2006, which was to combine a short wavelength (595nm) with a long wavelength (1064nm). A study found that PDL wavelength, well absorbed by oxyHgb, converts oxyHgb to metHgb, which absorbs Nd:YAG well. In this manner, deeper vascular lesions that were not responding to existing therapies could be well treated with a lower energy, with minimal risk of scar. A. Before Laser Treatment. B. After 7th Laser Toning Treatment.